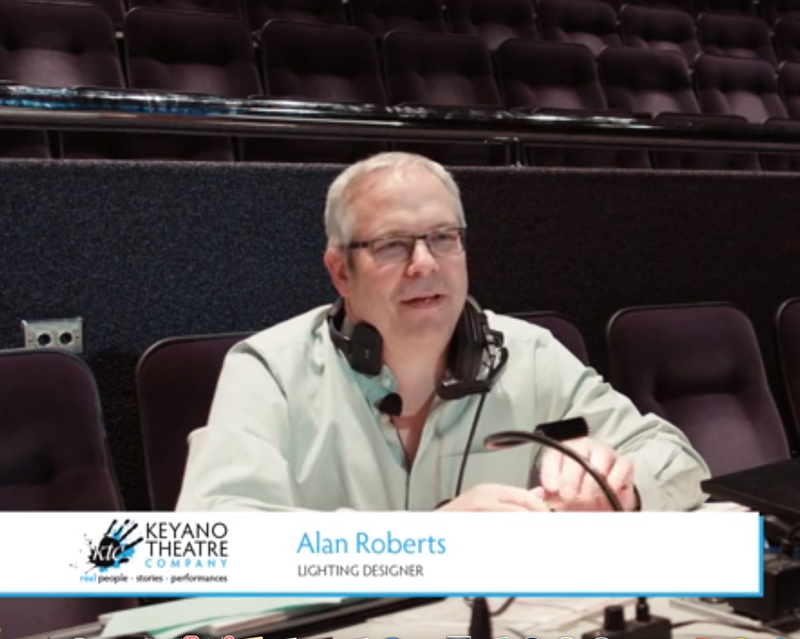 With this exception of lighting designer Alan Roberts and music director Susan Lexa, the artistic team of the Keyano Theatre Company production of Les Mis has scattered to places far removed from Fort McMurray. Costume designer Tiffany Bishop is somewhere in California. Set designer Jason Bolen is back on his home turf of Manhatten in New York City. And Claude Giroux is enjoying the pastoral life of rural Hawaii, doing some work with a theatre on the Big Island. Keyano College photographer/videographer Sean McLennan, working with theatre publicist Misty Oakes (also playing Eponine), has published a series of videos about different aspects of the production and how they all came together to result in the show that thousands are enjoying right now. A dear friend and an angel with sewer's tape always around her neck, Tiffany talks about the scope and scale of costuming a large group of people, the amazing work of Melissa Mitchell and numerous volunteers, and why she loves designing shows at Keyano. I'm not sure you can find enough superlatives for this set. It is equally haunting as it is beautiful. Functional and adaptable, within seconds the audience is transported from the seedy docks to the rowdy inn and various other locations. One of the most naturally funny and engaging set designers I've ever met, I hope this is the beginning of a very long friendship with Jason Bolen. "The lighting is going to be exquisite," warned Alan Roberts many months ago. He was right; it is. I've known Alan longer than anyone else in Fort McMurray. He introduced me to the theatre, taking me (and others) on a backstage tour of a comedy that was running in this time slot back in 1996. We have worked together in myriad ways since, and his love of theatre, and light, shines through in this production of Les Mis. Having been through his directing process several times in the last three years, I had confidence that Claude Giroux was going to hit it out of the park directing this production. The fact that the end result gave that ball a mighty THWACK (according to fellow blogger Kevin Thornton) over the fence confirmed my instincts. However, I'm not sure I realized how beautifully all the layers would come together. What Keyano Theatre Company does is unique. This video series educates and celebrates the complexity, knowledge and resources that go into making a production here in Fort McMurray. The work that has happened with Les Mis builds on a legacy of theatre excellence that goes back almost 35 years. Special thanks to Sean McLennan for doing an outstanding job filming and editing these informative and fascinating features.